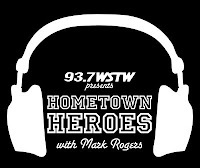 We would like to thank everyone that participated in the WSTW Hometown Heroes awards. The Bullbuckers have been nominated in several categories including BEST LIVE ACT, BEST BAND, and BEST ALBUM amongst many great bands in the Delaware Valley. UPDATE (2/12): Bullbuckers win for BEST BAND, BEST LIVE ACT and BEST HORN SECTION!